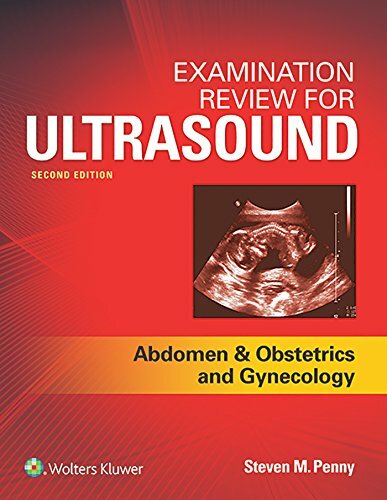 This updated 2nd Edition of Examination Review for Ultrasound: Abdomen & Obstetrics and Gynecology helps students prepare for—and excel on—the ARDMS and ARRT certification exams. Focusing on only the information needed for exam success, this proven resource includes a concise, narrative approach, content based on the current exam, and an online exam simulator with registry-style questions. eBook available. Fast, smart, and convenient, today’s eBooks can transform learning. These interactive, fully searchable tools offer24/7 access on multiple devices,the ability to highlight and share notes, and much more. NEW! MORE EXTENSIVE REVIEW: 40 review questions for each chapter—almost 1,300 total—help students identify strengths and overcome weaknesses so they are fully prepared on exam day. NEW! Full alignment with ARDMS and ARRT revised content outlines: To achieve alignment, additional pathology coverage appears in each chapter and new topics have been added (breast, organ transplant, facial glands, male pelvis, pediatric hips, fetal presentation, and maternal complications). FREE ONLINE EXAM SIMULATOR: Sophisticated mock exams customizable for both the ARDMS and ARRT exams familiarize students with registry testing format and style. NEW PEDAGOGY! Sound Off boxes and Hot Spot questions prepare students for questions and question formats likely to be on the exams. ENHANCED! HIGH-QUALITY IMAGES: More than 230 sonographic images and diagrams—many new to this edition—increase student understanding of anatomy and the physiologic principles crucial to good sonographic practice. REVISED! Stronger abdomen coverage and more images and illustrations enhance the OB/GYN section. VALUABLE CLINICAL COVERAGE: Clinical history and clinical findings paired with sonographic findings allow students to see the progression from presentation to using imaging as a diagnostic tool. Professional Resource: Certified Sonographers can use this text as an exam resource for ARDMS recertification assessment in both Abdomen and Obstetrics and Gynecology. IN-TEXT LEARNING AIDS: Charts for lab values, pathology findings, and sonographic findings clarify important information, and key terms with definitions help students retain key information.